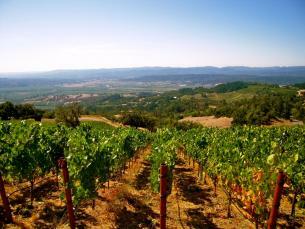 I’m just back from having spent an amazing weekend in Napa Valley. 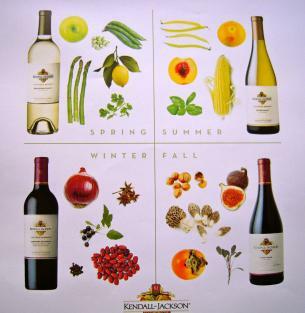 Kendall-Jackson Winery invited 12 food bloggers (and Ruth Reichl!) to California for their first annual Sip, Bite & Blog gathering. KJ outdid themselves planning this extraordinary event! 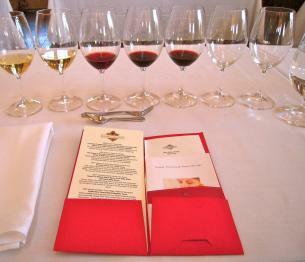 Our first evening was a food and wine tasting, then dinner, at the Kendal Jackson Winery. 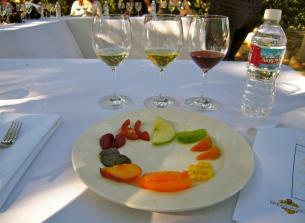 We were all totally blown away by this tasting as each wine was paired with the most delectable morsels of food heaven! The tasting included Fried Green Tomatoes paired with AVANT Chardonnay, Buckwheat Crepe with Prosciutto, Cheese and Apple Butter paired with Vintner’s Reserve Riesling and Smoked Fennel Tomato Soup with Highland Estates Seco Highlands Pinot Noir. The KJ Chef made us all swoon with the Sweet Tea Brined Niman Ranch Pork Belly Slider that was paired with a Highland Estates Alisos Hills Syrah. 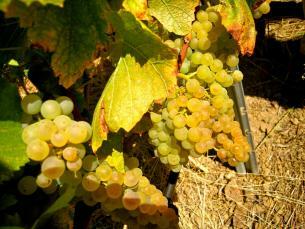 But the most unexpected combination was Caramel Corn paired with late harvest Chardonnay. It was delightfully sinful! 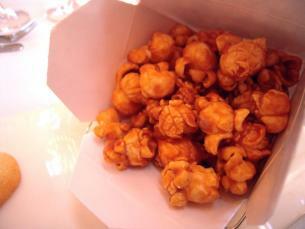 Here is the recipe for Kendall-Jackson’s award winning caramel corn. 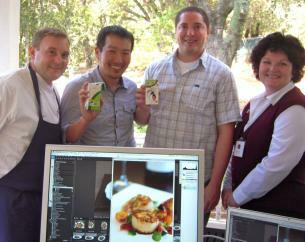 Much to our surprise, this tasting and food paring is available on a daily basis to the public! Day two we headed to Alexander Valley Mountain and Stonestreet Winery. It was crazy hot that day! About 95 degrees hot! 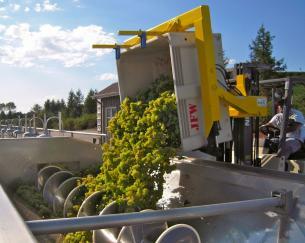 Our timing was perfect in that we actually got to see the grapes being harvested. 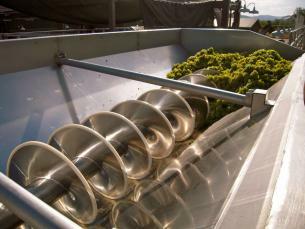 Within just a few hours of being picked, the process of actually making the wine begins. Kendall-Jackson has a forest of oak trees in France. That is the wood that is used for the barrel-making. 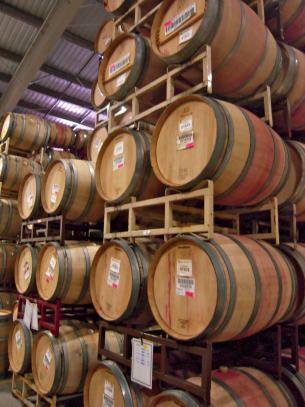 The barrels are used just once. 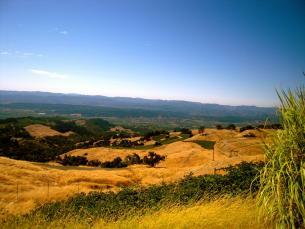 took place on top of Alexander Valley Mountain. 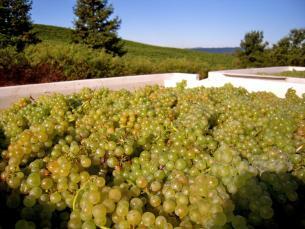 Then we headed to Jackson Park Vineyards/Ranch. This next tasting was seriously educational. Director of Wine Education Gilian Handleman and winemaker Matt Smith’s theme was “Nature’s Blueprint – Pairing Wine and Produce”. Jackson Park Ranch is breathtakingly beautiful. 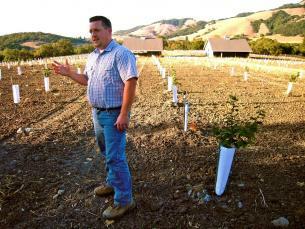 In addition to the vineyard, they are actually developing a truffle forest. Hazelnut trees, impregnated with the truffle fungus are planted in-between English oak trees. Eventually the hazelnut trees will get cut down and there will be a forest of oak trees and truffles! 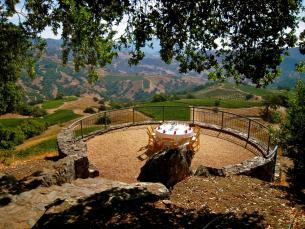 ….surround the Matanzas Creek Winery where the Local Artisan Food Purveyor Dinner was being served. It felt like walking through a Monet painting! 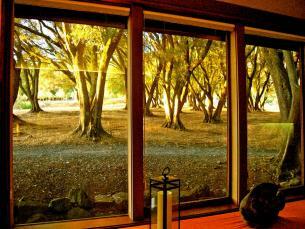 I loved the look of these trees just outside the window of the dining room. Dinner was a joint effort between the Kendall-Jackson Culinary team and Liberty Ducks, Gourmet Mushrooms, Drake’s Bay Oysters, Whole Vine and Redwood Hill Farm Cheese. The appetizers were both delicious and educational. 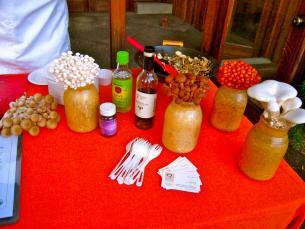 I particularly liked the Organic Mushrooms. Our last day was spent at Arrowood winery. We worked in teams, photographing a plate we had designed, with advice from a professional food photographer and food stylist. Our plate of scallops won! Justin, Marc, Adam (Adam) and me! 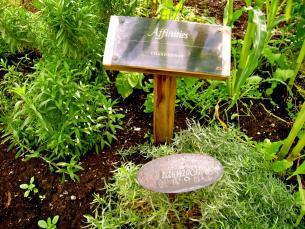 Then onto a walk through the Kendall-Jackson “scratch and sniff” garden with Ruth Reichl. Ruth’s pre-dinner speech was delightful! She is so charming and gracious. In fact during dinner, she visited with each table and signed books as well. Needless to say, this dinner, served with amazing wines, was astounding! 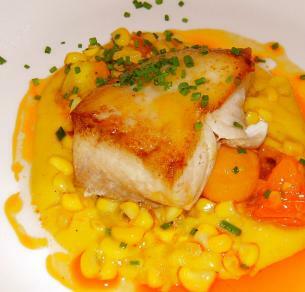 My favorite course was the Glazed Local Cod with Corn Pudding and Cherry Tomatoes. 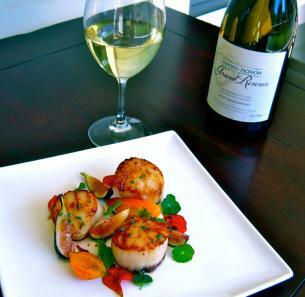 It was served with Kendall-Jackson Highland Estates Camelot Highlands Chardonnay. It was a combination to die for! 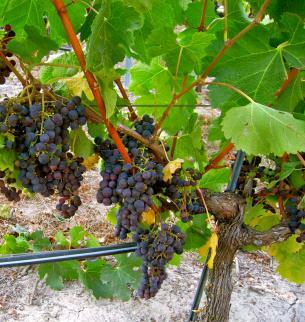 During the past few days I learned a heck of a lot about growing grapes, wine making, wine styles, tasting wines and pairing wines with food. I discovered that Kendall-Jackson really is a family-run business that cares about its people and the environment. I met some extremely talented food bloggers. It was delightful to share the weekend with Grace, Nicole, Rebecca, Maryse, Adam, Marc, Cathy, Adrianna, Jessica and Gina. 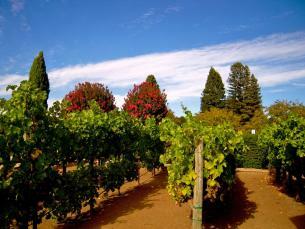 Best of all I experienced wine country like everyone should, at least once in your life! P.S. I was delighted to be Kendall-Jackson’s guest for this amazing event. They paid for my food, lodging and airfare but they neither asked me nor paid me to write about this adventure. For some strange reason, comments can only be made when you enter my site via Firefox. Thanks so much, Kathy. What a wonderful experience! I am salivating! I’ve been to Matanzas Creek and agree on your description. Am going to tell my daughter about the Kendall-Jackson pairing events. 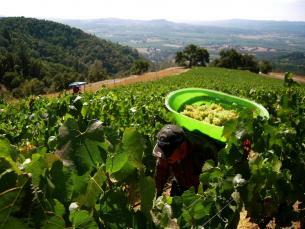 Great pics of your trip, but I was hoping to see you stomping grapes in your bare feet holding your skirt up! Caramel Corn and wine???? Are you sure about that! What a great trip. 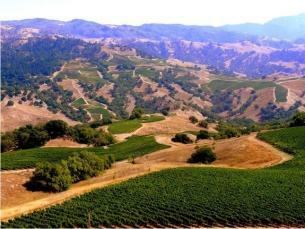 As usual the post about Napa Valley was just over the top! Sharon, The KJ Pairings were fantastic! MZ, Lucy stomping the grapes was mentioned several times over the weekend. Everyone loves that episode! Susan, Not in a million years would I have thought of pairing Caramel Corn with wine. I usually do not drink sweet wines but the combination of the Late harvest Chardonnay and the salty sweet caramel corn was so unexpected and really good! Thanks John for stopping by, you are a wonderful brother! Fabulous Kathy, really, loved the pictures and the writing. 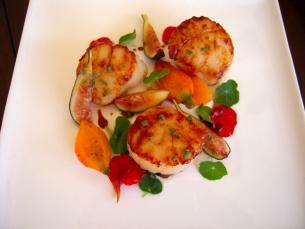 excellent—and those scallops–a painting! How extraordinary that Kendall sponsored you, that’s really thrilling! Your trip sounds wonderful! Love the recipes too! Glorious photos! Looks like it was a huge success! 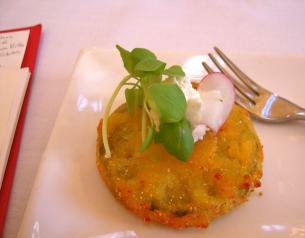 I love fried green tomatoes but I’ve never made them. Are they hard to make? 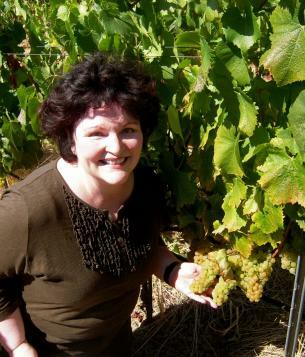 Maria – it was an incredible adventure – I can’t wait to go back! Carol – check out my post on Eggplant Parmesan. Instead of the seasoned bread crumbs, the firm tomato would get dipped in corn meal. You need about 1/2 inch of oil in the pan to fry them properly. On a rainy day here in Maine it was a breath of fresh air and sunshine to read your posting. We are going to S.F in November and I am going to look into visiting the KJ pairing events. Hi Sandy, you will LOVE it! Good luck continuing to develop your already amazing cooking skills! Everything looks superb, I just finished my lunch, but feel that if I was there, could have the appetite to try all the amazing meals! I feel I have just taken a magical mid-day trip — just by looking at your photos and comments. Thank you! This is a dream trip. It certainly would be a fantasy trip for me. All that lovely food! All that lovely wine! And people who want to talk about it! 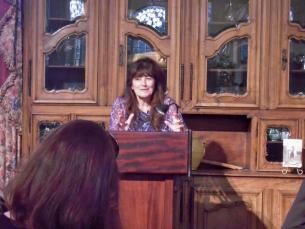 It’s nice to know that Ruth Reichl is as lovely as she seems. I have watched her most recent public television series (the one on cooking schools around the world) several times. Isn’t serving homemade caramel corn for dessert the ultimate end for a fun dinner. 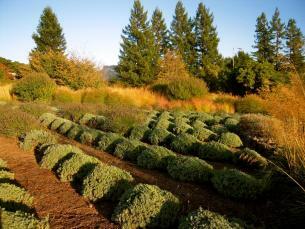 Hope you are still reveling in the heavenly landscape visions and all those flavors! See you at the next Culinary Group. Gosh, all these look lovely. I wish I had a chance to pass by and have a bite. Too bad we live so far away! Thanks Tony! 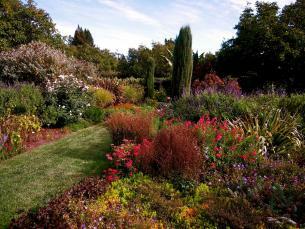 It was really a fabulous visit and well worth the journey from Boston to California.